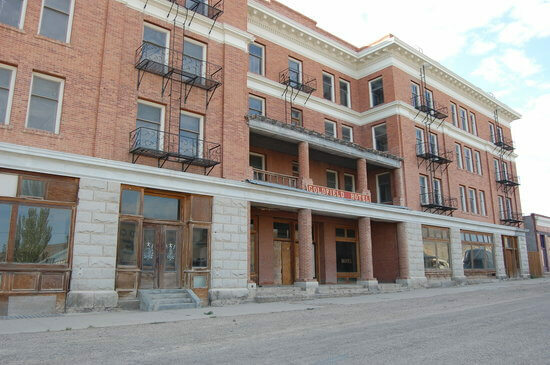 The Goldfield Hotel lies in the small town of Goldfield surrounded by the Nevada desert. The ghost town, which was founded in 1802, these days holds a population of around 250 people. 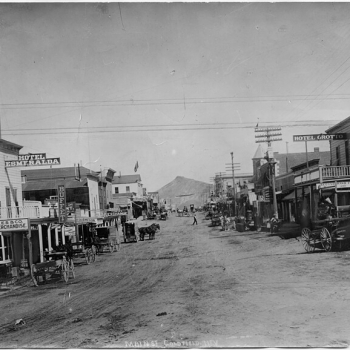 Back in the earlier days, Goldfield was a booming mining town. Many people came from far to try their luck in mining for riches. In 1906, 11 million dollars worth of gold was mined. This meant there were a lot of people in town at this stage. 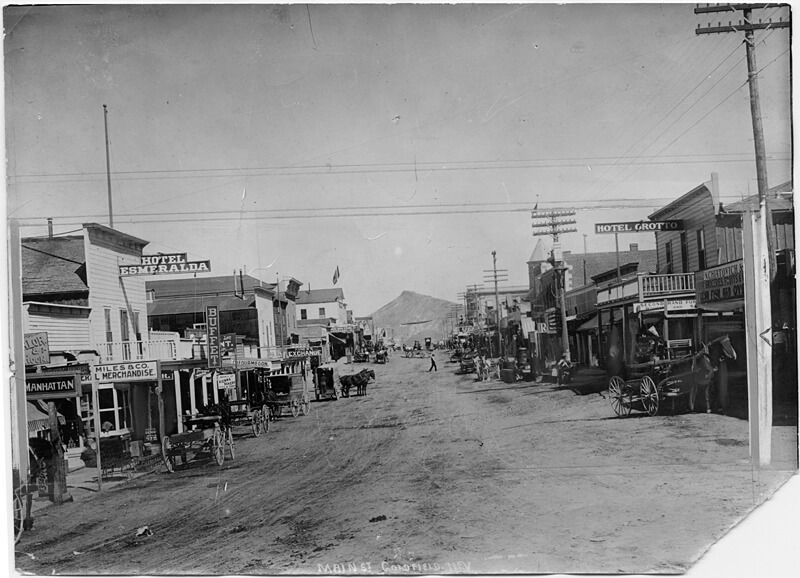 Many of the town’s people were miners, outlaws and of course prostitutes. Having this type of cliental also meant there would be crime! Over time buildings started sprouting up along the main strip including Banks, Saloons (where there was Saloons there were brothels), a General Store, a Barber, 3 Hotels (including The Goldfield), Newspapers, Casino and more. 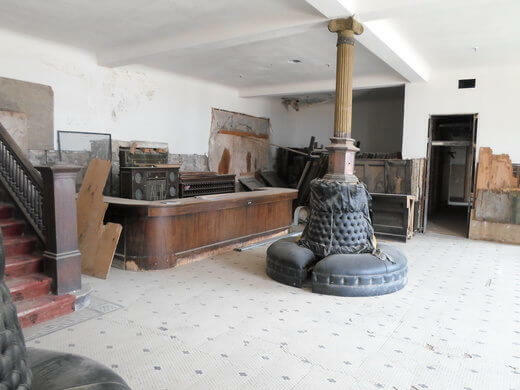 Unfortunately a fire swept through Goldfield in 1923 and burnt down most of the buildings except The Goldfield Hotel. 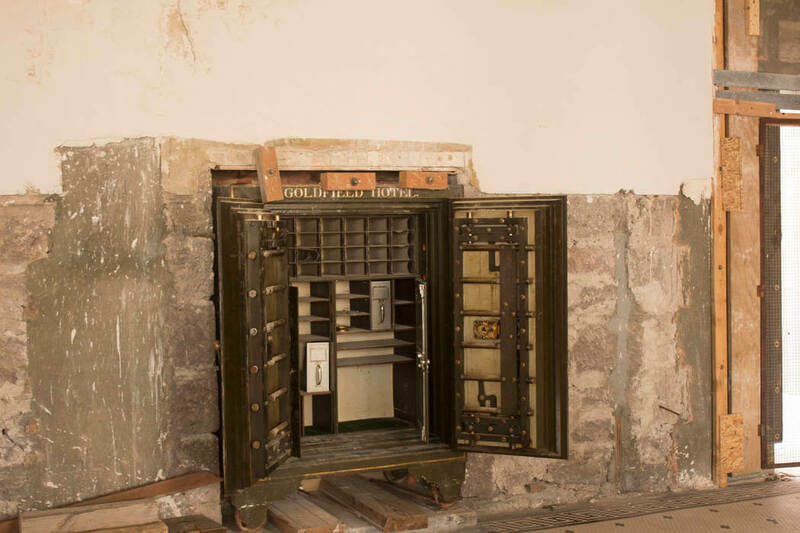 A man that bought the hotel started mining for gold below the hotels basement. In 1945 the hotel closed its doors for good. At present in 2018, the hotel has still not opened, but in 2017 renovations started, so let’s hope soon the hotel comes back to life, or has that happened already? 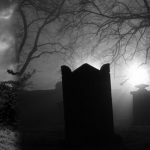 Many paranormal investigators have come through including Ghost Hunters, Ghost Adventures and The Dead History’s Jennifer Jones. All of these teams left with some sort of paranormal experience. One of these episodes that stick out in mind was the Ghost Adventures episode. We all know that Ghost Adventures can be quite dramatic and unbelievable. Zak Baggins could probably have a career in acting. But in this instance I fell it was actually legitimate ghost footage. 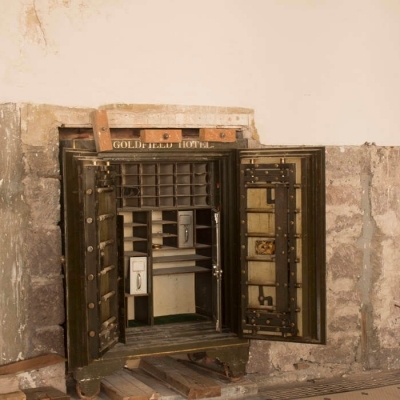 In the video the team is investigating the basement, which is one of the most famous haunted rooms in the hotel. As the teams walks in Zak asks, “Is that you making all the noise”. The camera is focused on the ground area. You see a brick fly up from the ground in a fast motion. 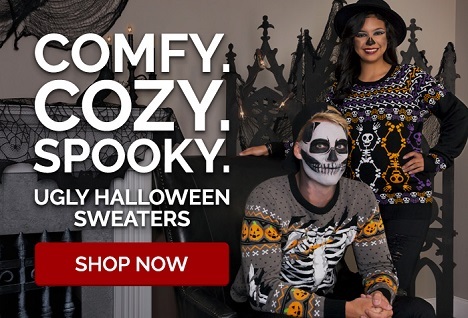 As they run off in shock and fright you can hear the fear in their voices. Shortly after they get the video examined by a professional to prove any video tampering. This gave The Ghost Adventures brick video more proof of it actually being the real deal. 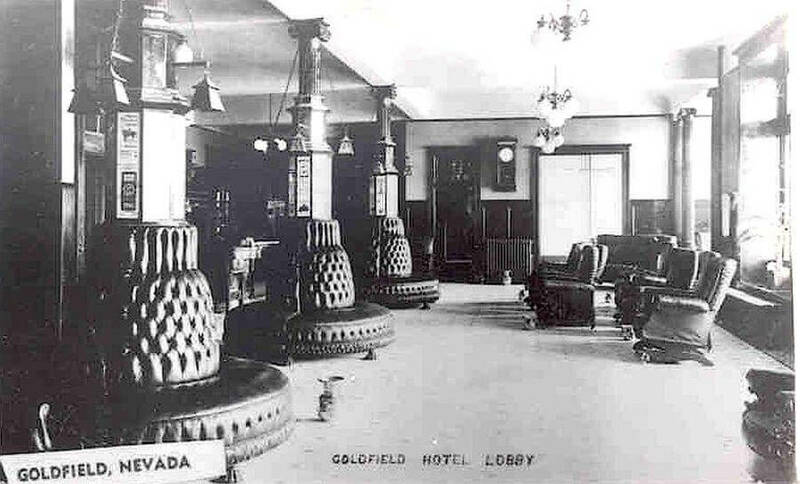 In what once was the main dining room in The Goldfield Hotel, called ‘The Gold Room’, lurks a spirit that locals call ‘The Stabber’. He hides around that particular area with what people say is a kitchen knife. His blade has not harmed people, but they do say they get a hell of a fright. He usually lunges at people then seconds later will disappear. Most people that are non-believers will soon believe after this type of experience! 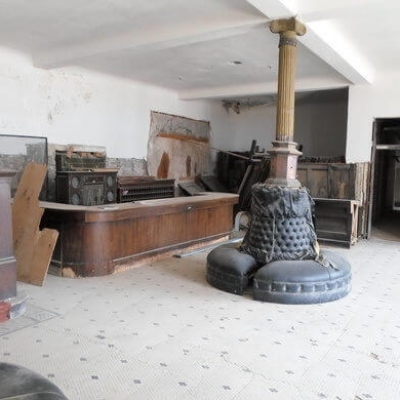 A paranormal group encountered a lot of activity while investigating The Goldfield Hotel. They claim they captured Shadow People, Demon Faces and lots more on I.R. (Infrared Cameras). It was mentioned that they could hear a mans voice mumbling and his boots walking around the propped camera and audio equipment. He sounded upset with the equipment. They also felt sensations, smelled flowers, perfumes and even cologne at times. 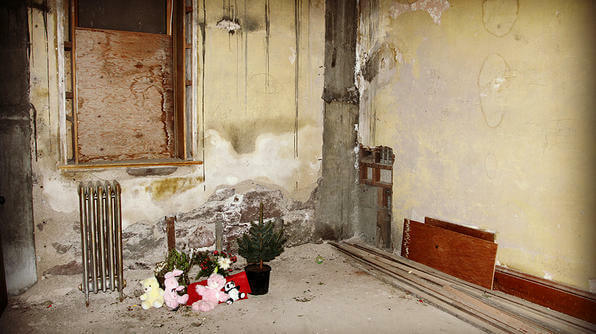 “You could see and feel the spirits darting in and out of the many rooms of this abandoned place”. Read more about the investigation. 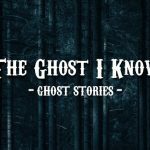 There are other popular Ghost Stories that linger around but I feel that some just don’t have the evidence. A lot of them don’t match up with history and facts. If you do want to read about more famous ghost stories at The Goldfield Hotel checkout Seeks Ghosts. 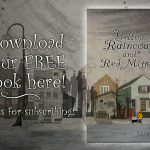 Not so much a ghost story but more of an experience of being in the town of Goldfield, Chelsea Sedoti explores the area. She talks about arriving to the town and also having conversations with the locals. 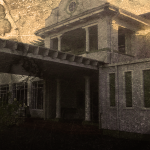 Also she gets the chance to walk around the 150-room hotel by herself, which would be a spooky but cool experience! I am very jealous! 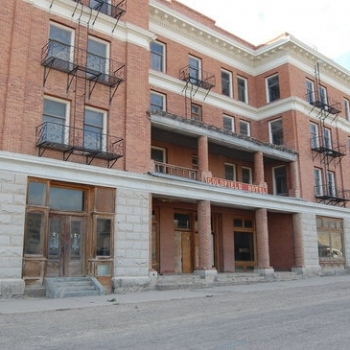 So is The Goldfield Hotel haunted? 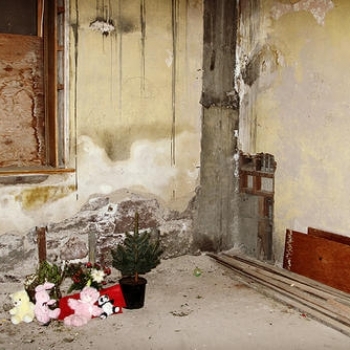 With all the evidence over the many years and putting into the equation how old the building is and the events that happened in there, it would be hard to say it isn’t. I personally haven’t been here but relying on peoples stories I would say it most certainly is! 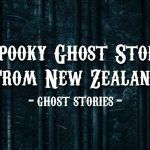 I haven’t been able to find any Ghost Stories that have happened recently. If you have please leave some details in the comments section. 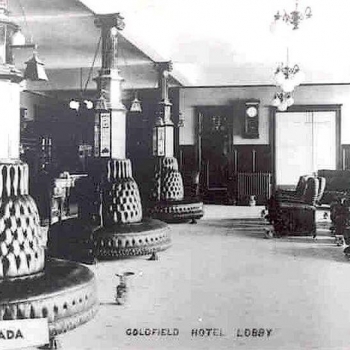 Thanks for reading this article on The Goldfield Hotel and thanks for Keeping Up With The Creepiness – The Ghost Attic. I would like to thank History Goes Bump for the inspiration for this haunted location profile. 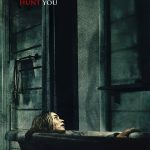 Why Is It So Hard to Fall Asleep After Watching a Scary Movie?